BE QUICK – Time is definitely of the essence. Don’t dilly-dally when you see a new rental listing on the market. Properties are renting within days (and sometimes the same day) it is listed. As soon as you see a new listing, touch base with the Agent/Landlord to schedule a showing. Rental housing is in short supply and the demand is high. You won’t be the only one calling to schedule, so the sooner the better. BE PREPARED – This goes hand in hand with the “be quick,” but even if you are the first one in the door, it won’t matter if someone else beats you out by turning in his or her application first. Many Landlords process applications in the order received, so make sure you’re received first. Request the application from the Agent before the showing and bring it filled out along with the application fee. That way, if you love the property, you can put an application on it right then and there. Being prepped and ready will put you way ahead of the game. CHECK DAILY – Stalk Follow area agents, property managers and rental websites so that you see the properties as soon as they are listed. It is very difficult for Agents to remember every person who has called looking for a rental in the past weeks and the criteria needed (we try, but we are human too!). So while you’re in the market, make it a habit to check for new listings daily. KNOW YOUR HISTORY – Pull a free copy of your credit report from one of the credit bureaus. Ask the Agent or Landlord offering the property what the tenant selection criteria is, so you know if you will meet the criteria before you spend any money on application fees and time viewing available properties. If you do not meet the criteria on your own, ask if there is another way to secure the property through a larger deposit or with a cosigner. Often there are options, but ask in advance and avoid wasting your time. PICK ME! PICK ME! – Make no mistake, in this market, you are interviewing to be selected as a tenant. You want to be picked, so make yourself as desirable as possible. Keep it truthful, but don’t be shy on letting the Agent or Landlord know why you’d be a good choice! A few easy things to do are to make sure your application is completely and legibly filled out (this sounds stupid, but you’d be surprised…) and to list past rental references. Good rental and job references can go a long way in putting you at the top of the list! You may also consider writing a (short and sweet) note about why you’d be the best choice of tenant. A few other ideas that will make you a more desirable candidate: offering a fast move-in date, offering a higher rent amount (even $25 more per month can zip you to the forefront) or offering a longer lease term (e.g. : 15 months instead of 12). In short, if it’s your dream rental, be proactive and let the Landlord know you are serious about renting this property. I know it can be frustrating as a tenant to find a property in this fast-paced market. You’ll have to be a little quicker and stay on top your search more diligently than in the past. Patience and persistence is the name of the game, so don’t get discouraged. 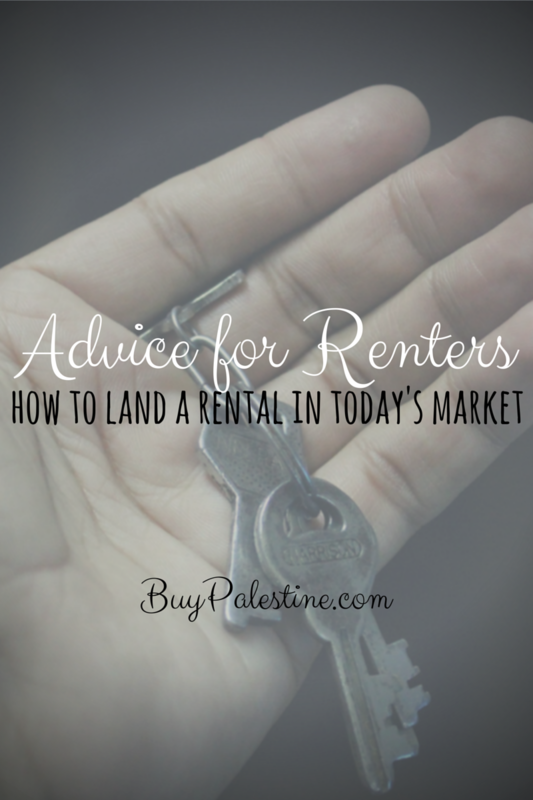 Your perfect rental is out there—you just have to land it. Lisa E. Priest is a Palestine area Property Manager & REALTOR® with Picket Fence Realty, Inc. You can reach her via phone or text at 903-948-3343 or email Lisa@rentpalestine.com or at BuyPalestine.com.